As many know, NABVETS originally started in 1969 as the Interested Veterans of the Central City or better knows as IVOCC. The organization was begun by seven (7) returning veterans that believed that they could make a difference that would help all veterans particularly African American veterans. The primary issues of the day were Welfare, Education, Housing, Hospitalization, Employment and Economic Assistance. In 1973 the National Association of Black Veterans Inc. was born. Little did we realize at the time was that in every city and town around the country, there were carbon copies of the original seven returning veterans that were equally dissatisfied with the lack of attention that was given to their unique needs, namely Less than Honorable Discharges, High Unemployment, higher incidents of PTSD, Chemical Dependency and lack of equal V.A. claims assistance. Through the years NABVETS thrived and not withstanding growing pains, that included disagreements as to organizational strategic direction and other personal distractions, the orgainzation was able to come together and present a unified front. We all realized that speaking with one collective voice to our elected representatives went much farther than trying to speak with one individual voice. 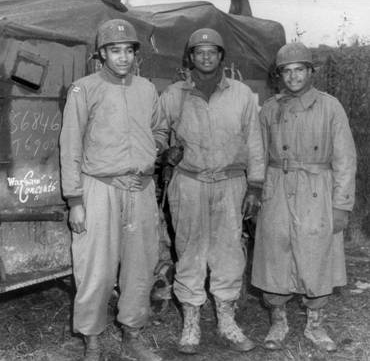 Today NABVETS has grown into one of the strongest black veterans organizations in the country. There are presently over thirty-five (35) chapters with many state commands. NABVETS has further developed its own nationwide telephone claims system to assure uniform VA claims tracking accountability. (This system will be released soon.) NABVETS is further proud of its national Eclipse magazine which is published quarterly and its newest publication, The NABVETS National Chapters Update Newsletter. We are presently working on plans to honor African American Veterans with a special monument, titled “Rebirth of Freedom” to be dedicated on November 11, 2007 on the VA grounds in Milwaukee, Wisconsin. NABVETS must go on because although we have made some accomplishments, there still remains much work to be done. This work includes monitoring and advocating for veterans, particularly veterans of color as it relates to the increasing backlog of V.A. service disability claims. We will be the voice for the voiceless!